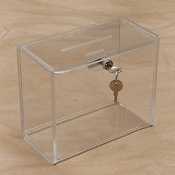 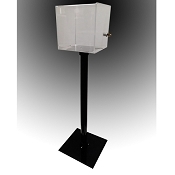 This large clear or black suggestion box comes with a lock and is cube shape. 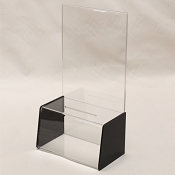 If you need a place to hold your ballots or comment cards, we can add a brochure holder or business card pockets any where on box for a low cost. 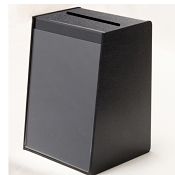 If you are doing your own graphics, we suggest printing it on photo-gloss labels and adhering it to comment box. 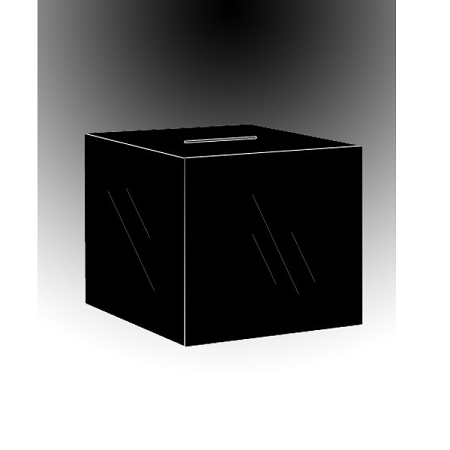 Please note: Must adhere design/artwork to box.